The following sample projects are located under the Documents folder of your machine. You'll find for each one both C# and VB.NET source code for both WinForms and WPF platforms. This sample explains how to vector-print your model on paper and on file (in *.emf format). The resulting report contains two views, the primary one with the current model orientation while the secondary one with a programmatically set point of view. 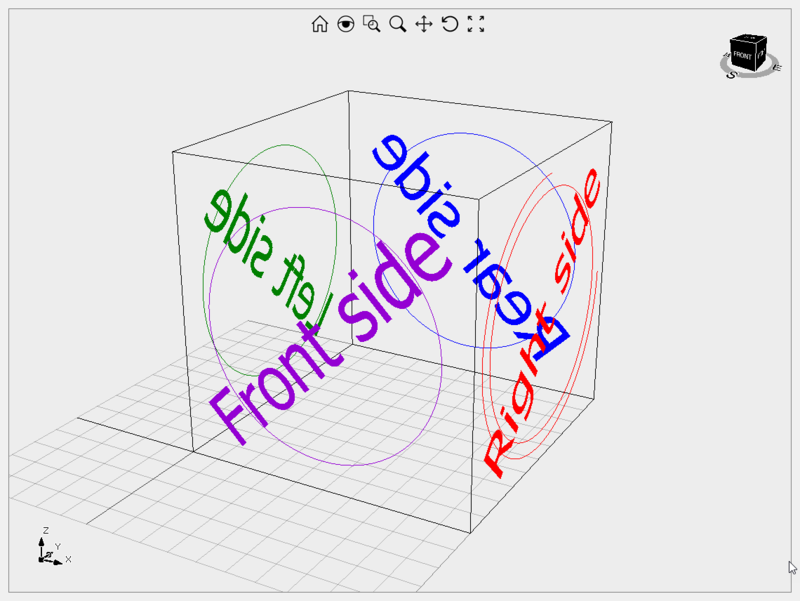 This sample explains how to overlap wireframe geometry to a video stream. It also demonstrate how to update a Picture entity from a separated thread. This sample explains how to draw vector fields using the Mesh.CreateArrow() static method and the Transformation class for object rotation. This sample explains how to assemble individual objects. You can chose between direct, transformation and animation methods. This sample demonstrates Eyeshot large assemblies handling capabilities. It includes a number of useful commands like Form New, Dissolve, Edit Structure, Make Independent, Edit Part, Edit Assembly, Edit Parent and Moved with Triad. You can control selection, visibility and selectability at instance level. AssemblyDemo can select items in branch or leaf mode, includes Turbo mode options and commands to open/save and import/export from IGES/STEP file format. 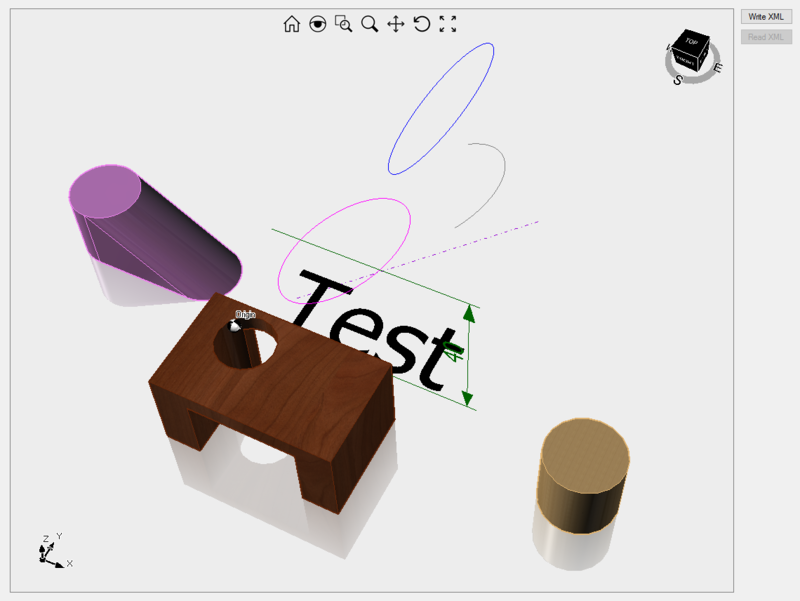 Asynchronous regeneration, active Turbo with Boxes operating mode, disabled shadows, disabled reflection, disabled silhouette curves and show center of rotation are the default setting for this sample. 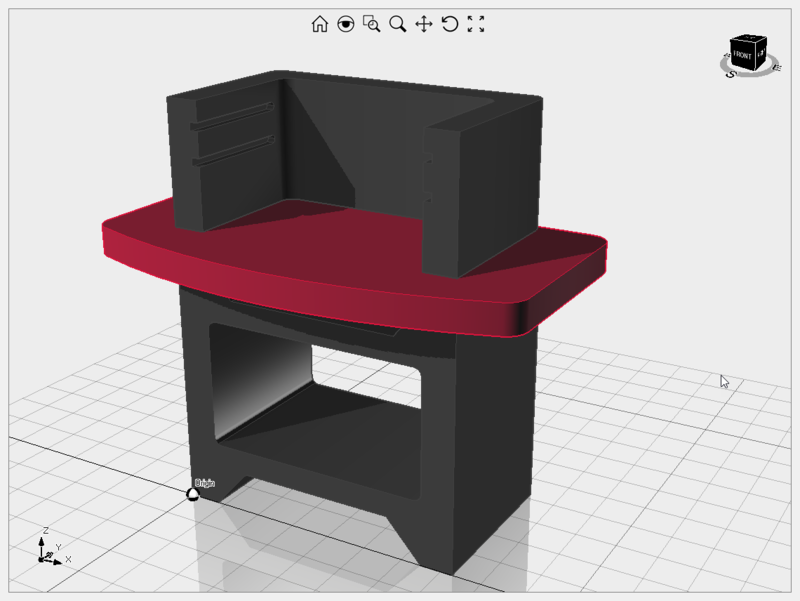 This sample explains how to draw a barbecue 3D model using Solid entity and boolean operations. This sample explains how build a blend surface between two surface edges. You can change the influence of each edge interactively. 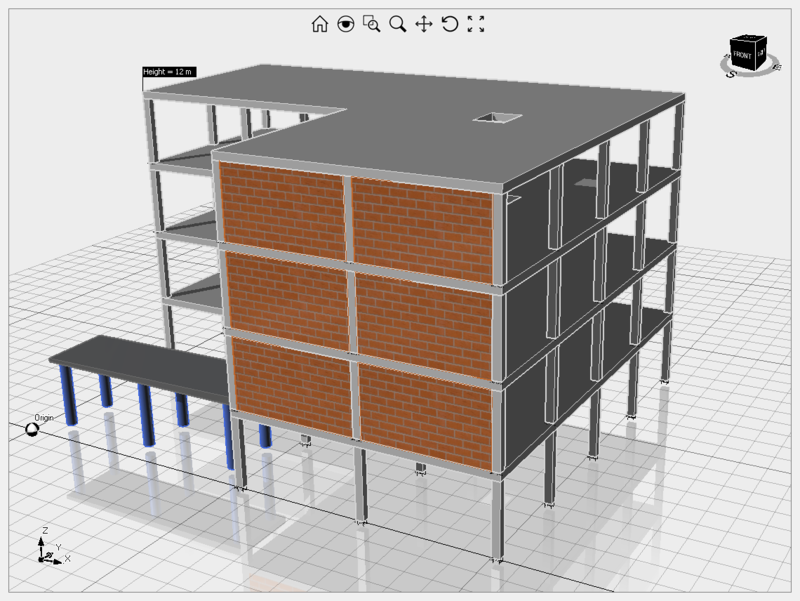 This sample explains how to use Block and BlockReference to draw a 3D building model. It also demonstrates how to use the Attribute entity. This sample explains how to copy and paste entities (and labels) between two independent ViewportLayout controls and how to keep their views in sync. It also contains resizeable split container implementation. This sample explains how to compare entities of two 2D drawings and how to keep indipendent ViewportLayout controls cameras in sync. This sample explains how to compare a point cloud with a 3D geometry imported via IGES file format. This sample explains how to add custom data to an entity and how to retrieve it at runtime. This can be easily accomplished using the Entity.EntityData property. This sample explains how to implement your own file format (in this case XML) to save and restore your geometry. This sample explains how to add custom buttons to the Viewport toolbar. It also demonstrates the ability to change the coordinate system icon with a custom list of Mesh objects. Not all applications require world axes, for example in medical applications a torso shape is preferred. This sample explains how to create your custom viewport layout. In this case with two viewports vertically stacked. This sample explains how to use the Delaunay triangulation. You can use it with points or loops or both. Outer loop must be closed (first and last points must have the same coordinates) while internal loops can be closed or not. For closed loops, orientation must be counterclockwise for outer and clockwise for inner ones. This sample explains how to split a Mesh entity according to a pull direction and how to animate BlockReferences using a standard trackbar. 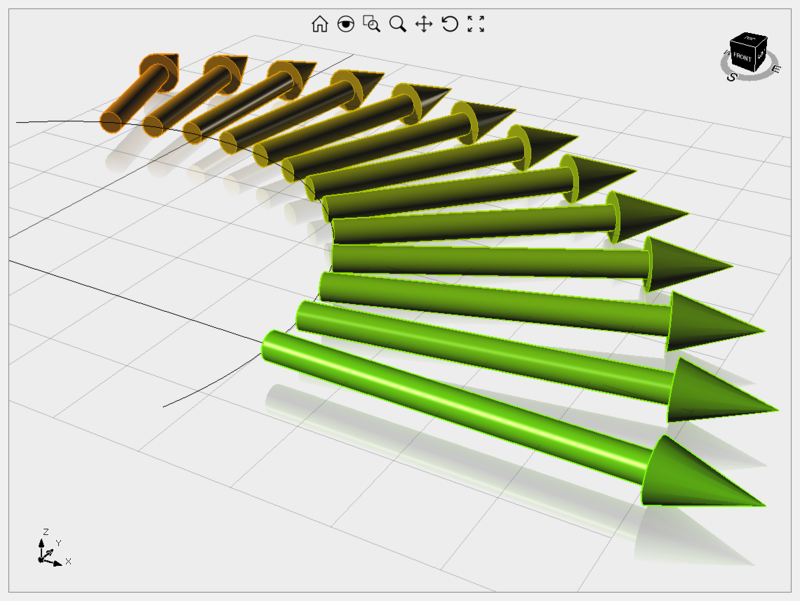 This sample explains how to implement interactive drawing of 2D curves and dimensions. 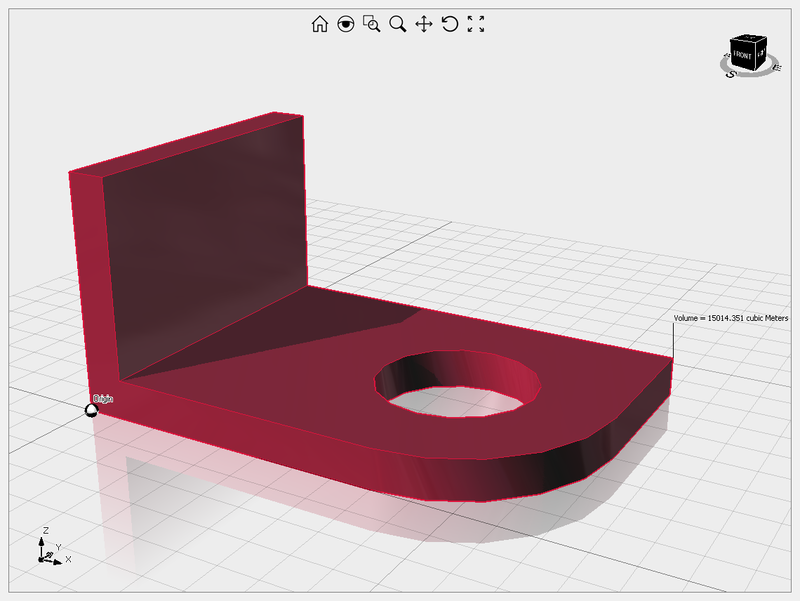 It can be considered a good starting point to create a 2D CAD system. This sample also includes curve trim, extension, fillet and chamfer. 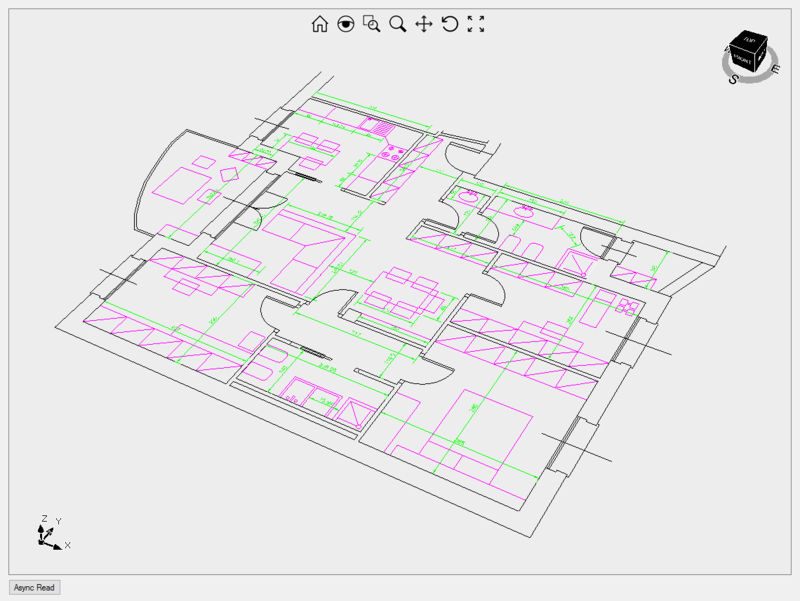 From version 12, this sample includes import/export from DWG/DXF and export to 3D PDF file format. This sample explains how to interactively drag a Nurbs surface control point. The trick is to drag a standard point and update the desired surface control point. Nurbs surfaces need to be regenerated after this operation, therefore the RegenMode property is set accordingly. A fully featured application that demonstrates what you can do with the ViewportLayout control. This sample explains how to detect features of a specific type on a 3D model. The filters allow to narrow down the number of cylinders or cones detected and the Show axes button to show cylinders axis. This sample demonstrate Eyeshot Finite Element Analysis capabilities, including mapped meshing and 2D and 3D beams with hinge support. The Numeric results button opens a dialog containing all the results in a tabular view. This sample explains how to extend Eyeshot proprietary file format with custom data and custom entities. More details on this article. This sample explains how to change the viewport navigation method using the Viewport.Navigation.Mode property. It also includes an advanced implementation of multi-texturing. This sample explains how to draw a Mesh entity with a different color on each vertex. 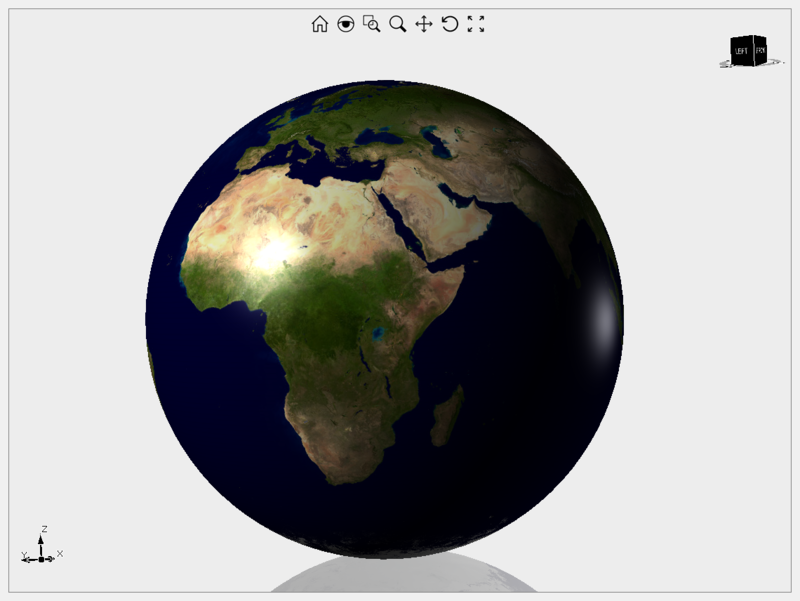 This sample explains how to draw a globe model using the Mesh.CreateSphere() static method. It also uses of Mesh.ApplyMaterial() method to map the material texture spherically. 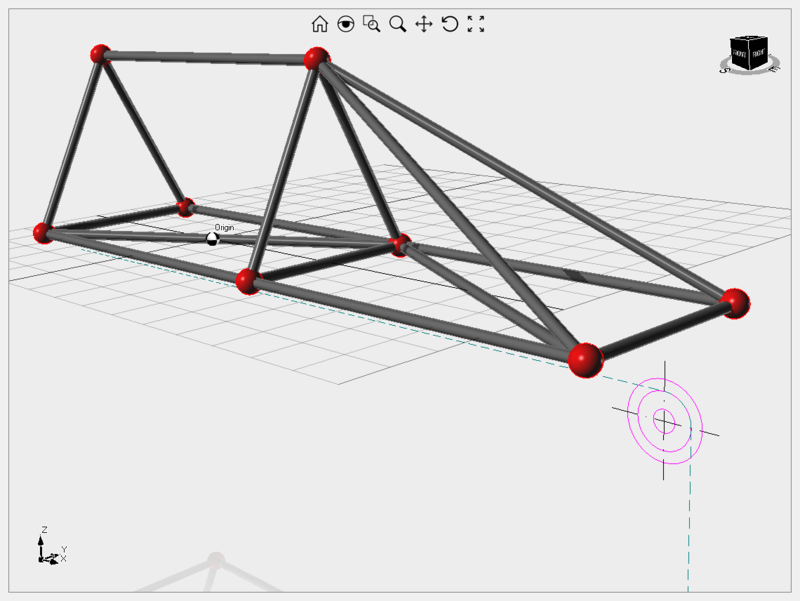 This sample explains how to draw a gym frame using Nurbs surfaces. This sample explains how to work with a hidden ViewportLayout control. In some cases you may want to produce drawings or images without displaying the geometry the Form/Window. This sample explains how to change entity nature on the fly. In this case the beams drawing is switched between Mesh and wires. This sample explains how to work with layers. It also includes the code to use a ImageOnly label and tooltips support: hovering an entity, the entity index is displayed. This sample explains how to do modeling in background while keeping the user interface responsive. In addition it demonstrates how to hide built-in progress bar and use a standard progress bar and Cancel button. This sample explains how to use line types for curve entities, different line type are defined and used. It also includes the usage of Joint and Bar entities. This sample explains how to simulate a 3 axis CNC machine movements. First the moving parts are loaded from STL files and added to three different Block definitions, then three subclassed BlockReferences override the Animate() and MoveTo() methods respectively, to compute new position and to move the objects (on GPU only). This sample explains how to draw the isosurface of a 3D scalar field. The resulting surface is a Mesh entity. This sample explains how to move entities with the mouse. This sample explains how to use WPF data binding. This sample explains how to set a BlockReference current and how to modify interactively its position/orientation with the ObjectManipulator widget. This sample explains how to generate Vector and Raster views in the Drawings environment. 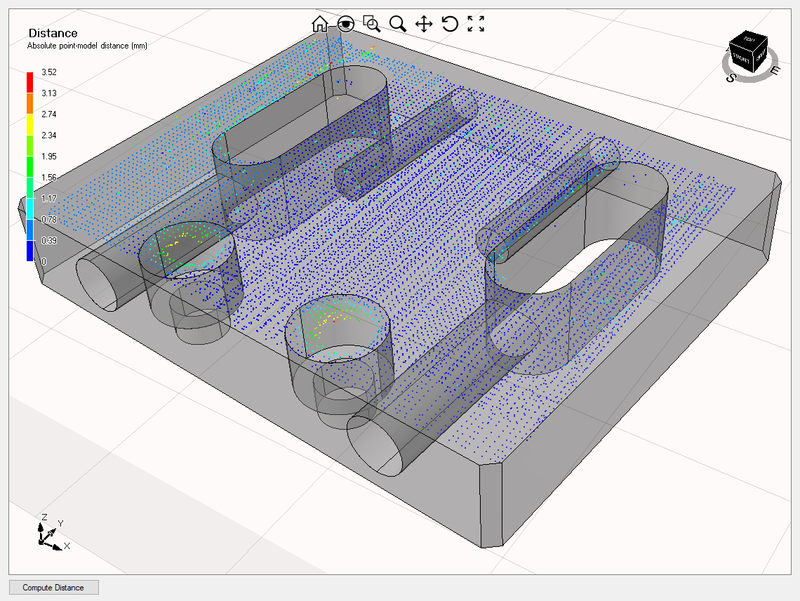 Buttons for adding linear dimensions and DWG import/export are also included. 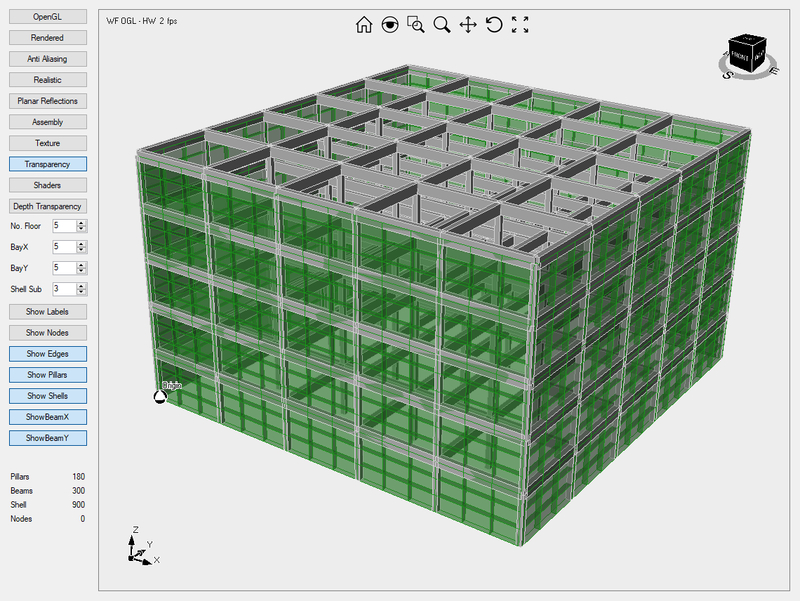 This sample explains how create and merge individual Mesh entities. Volume calculation is also implemented. This sample demonstrates how to draw on the ViewportLayout control with a pen. This sample demonstrates how to each single graphical setting affects drawing speed. It also rebuilds the scene graph as a single object, multiple objects and hierarchical objects. 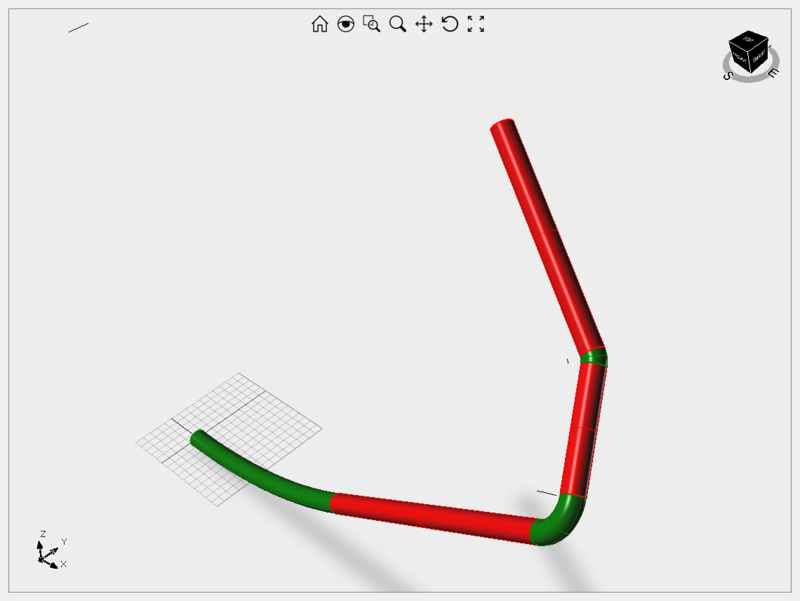 This sample explains how to simulate a pipe bending machine to reproduce the pipe shape. Bending axes are also computed and drawn. This sample explains how to animate a group of entities. This sample explains how to draw a parametric 3D chair model using Mesh entity. It rebuilds the model interactively while changing material, size, etc. 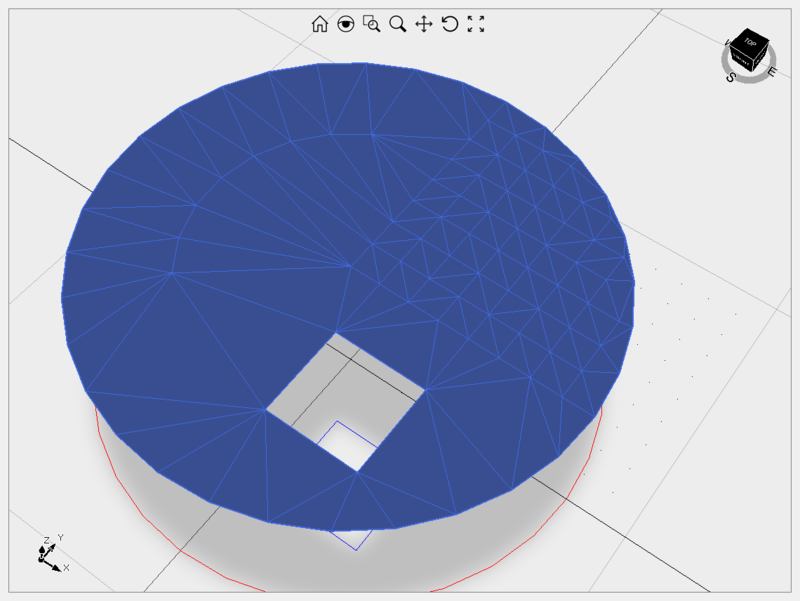 The resulting geometry can be exported in STL file format. This sample explains how to load DWG/DXF® files directly and asynchronously. This is the only scenario where the application needs to be compiled against x86 or x64, see Geometry Import/Export topic in the product documentation. This sample explains how to properly animate a robot arm (imported in STEP file format) and how to check collisions between objects. This sample explains how to orient and fire a toy rocket toward three different targets. This sample explains how to draw and give shape to an electrical wire or flexible pipe. You can add multiple joints and move them using the right mouse button. 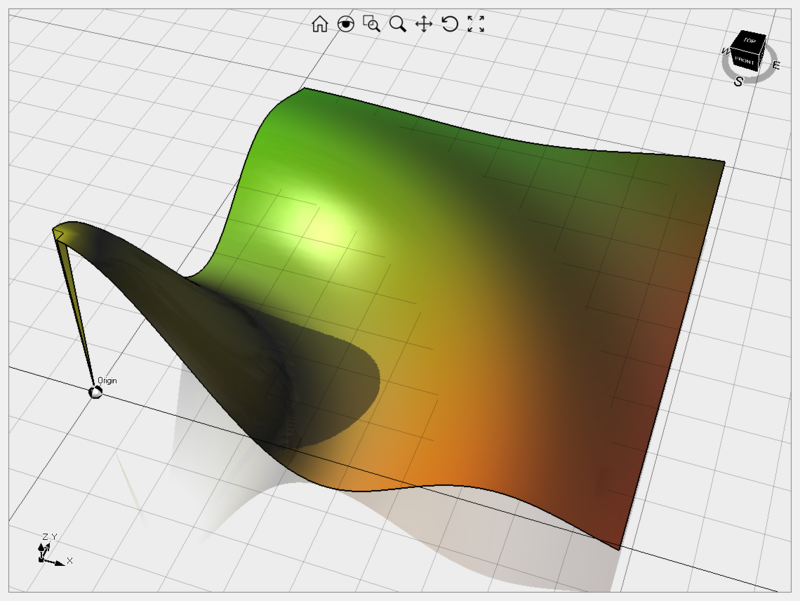 This sample explains how to draw and edit interactively a Nurbs curve. This sample explains how to draw interactively a LinearPath entity. 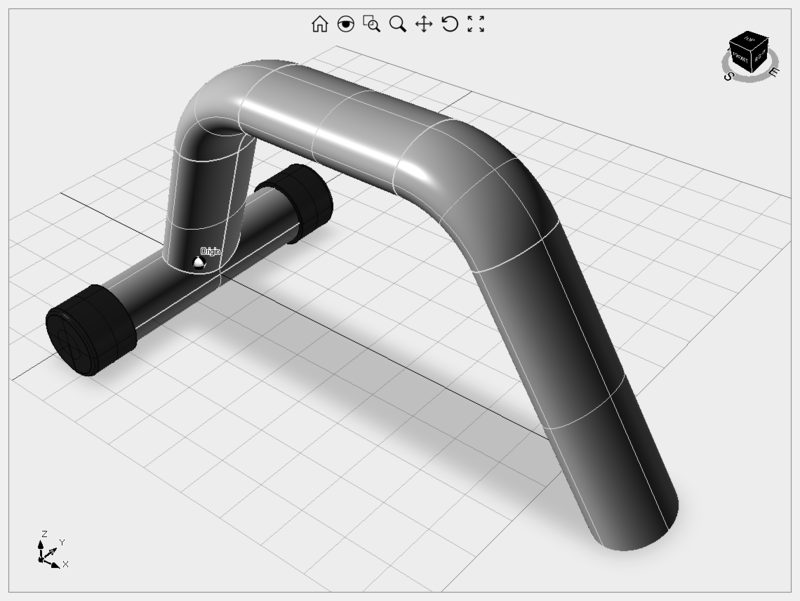 This sample explains how to draw an interactive ruler on the Viewport surface. The ruler drawing changes tick density based on current zoom factor. This sample also demonstrates how to display a logo in overlay on the 3D scene. This sample gives you full control on the scene lighting settings. On the left pane you see the camera view while on the right one, the 3D scene from the director point of view. You can turn on up to eight lights of point, spot, directional and stationary types and change each light settings. Currently only one light can yield shadows. You'll find the code to copy geometry from one ViewportLayout control to the other as well. This sample explains how to implement a custom selection method on a FastPointCloud entity. The Undo and Unselect commands are also provided. This sample explains how to implement individual Mesh triangles selection. This sample demonstrates how to snap on grid lines while drawing. This sample explains how to generate a section of a 3D surface model. This sample explains how to add temporary entities to highlight an item or a workflow in your application. These entities does not mix up with the actual objects of your 3D scene. This sample explains how to arrange a text on a freeform curve. This sample explains how to apply different texture mappings to scene objects. You can experiment each mapping and scaling combination simply dragging the desired material on the scene object. Additionally, it demonstrates how to create realistic materials. This sample explains how to place planar entities on planes different from XY. This sample explains Eyeshot DICOM capabilities, including surface reconstruction, sectioning, measurement and STL output for 3D printing. This sample explains how to build a manifold BRep object from two airfoils. The resulting model can be exported in STEP file format.